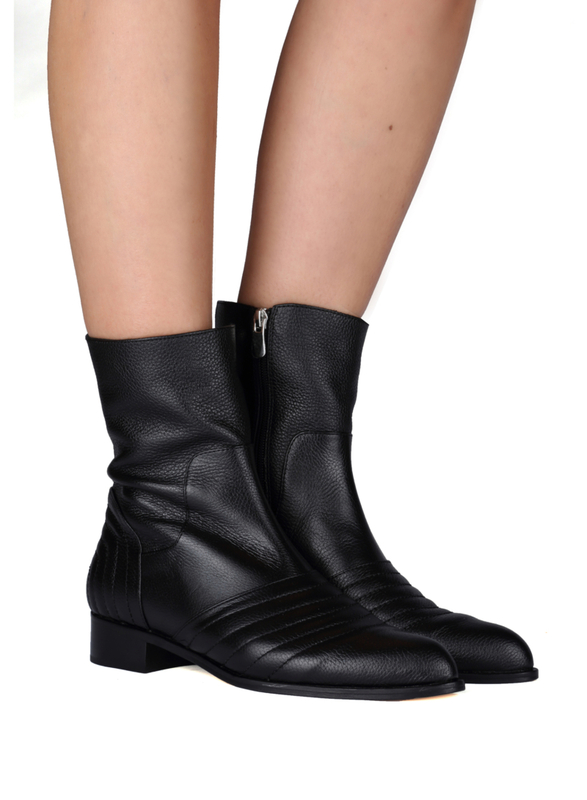 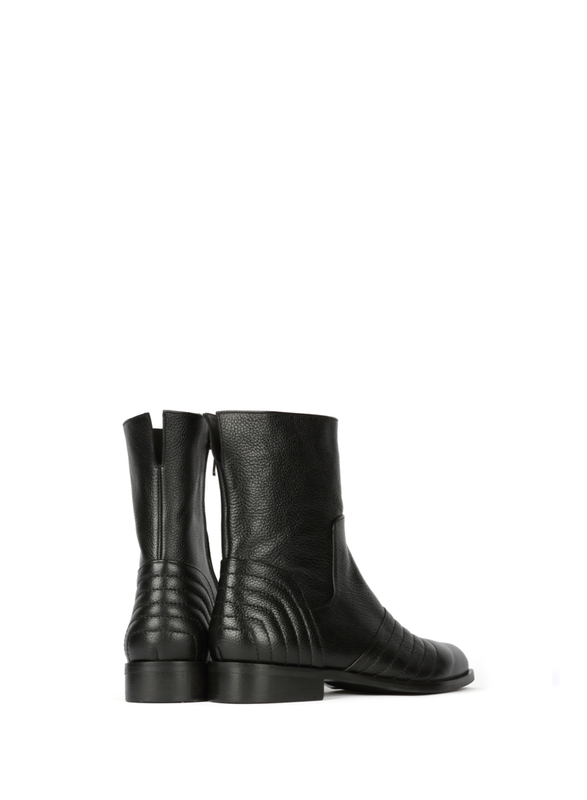 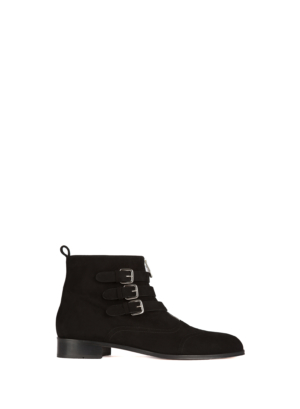 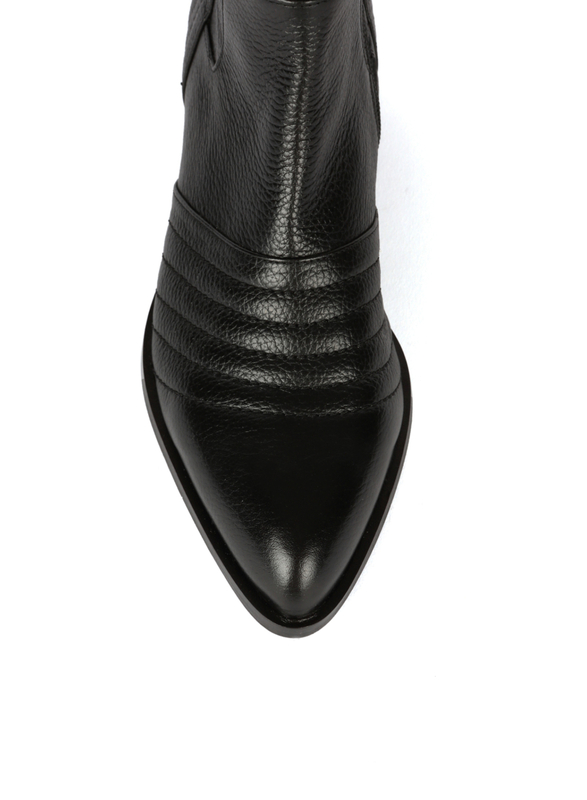 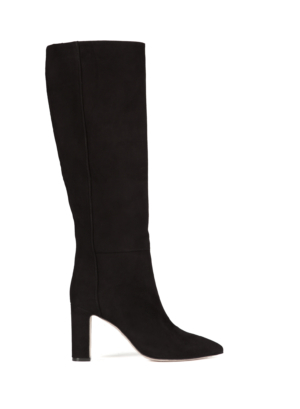 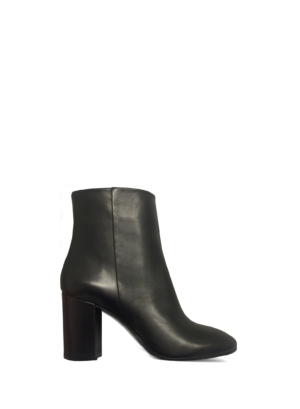 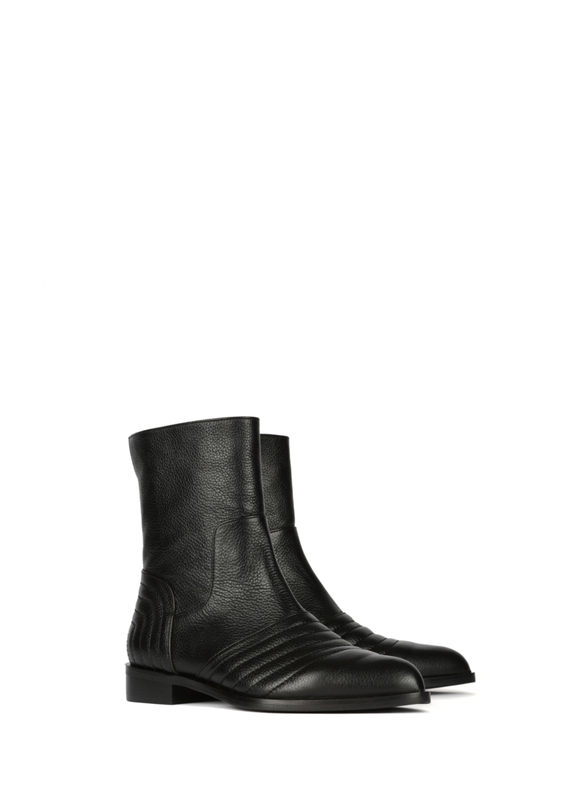 These ankle boots in black leather, are a super chic alternative to chelsea boots. 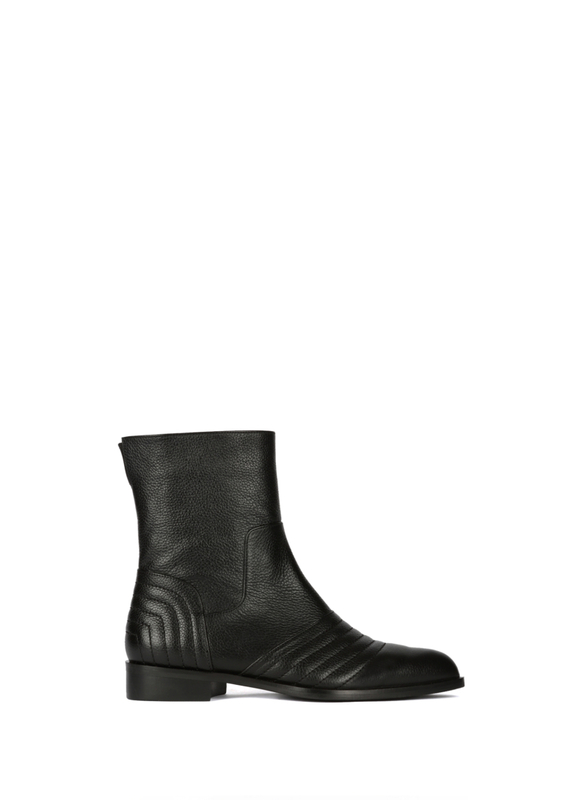 The quilted detail gives this classic pair a contemporary edge. 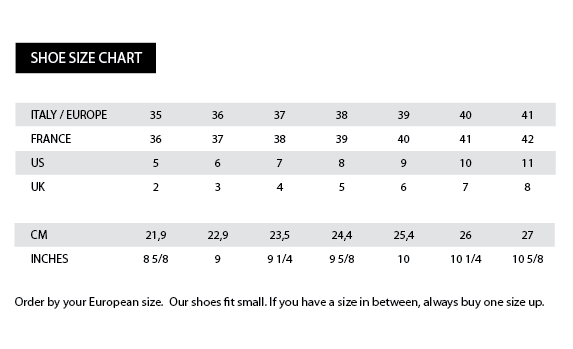 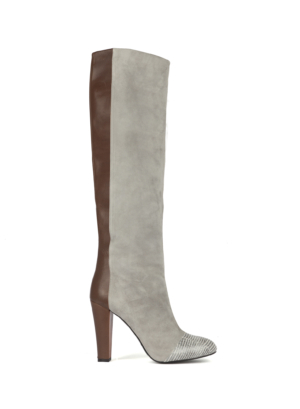 It has an exaggerated pointed toe for a leg-lengthening effect. 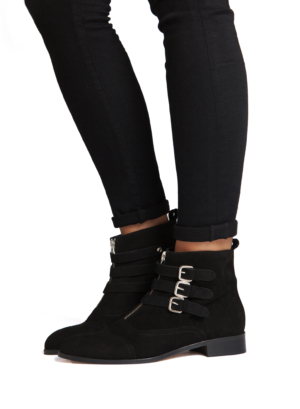 So show them off against bare legs or with your comfy ripped jeans for a maximum rockstar effect.